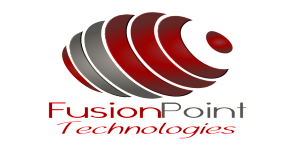 FusionPoint Technologies delivers technology solutions for small and mid-sized businesses and the people who drive them. Whether providing hardware or software, network security or managed IT solutions, cloud, IT Consulting or Virtual CIO services, we keep people at the center of technology. Technology, after all, is designed to serve people, not the other way around. That belief is at the root of our name, FusionPoint Technologies. Where people, business and technology come together. Extensive experience and deep knowledge confirmed our approach that technology should help run your business, not your life. And FusionPoint Technologies and its employees know the technology and how to run it. 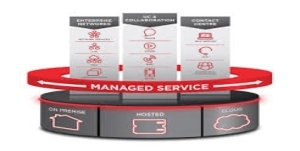 Our “Hub” meeting is built around you, with FusionPoint as the “Spokes.” After an initial meeting, we’ll pull together our IT experts to determine the project scope, identify the various resource requirements, and assign roles and responsibilities to ensure a smoothly run project from start to finish. We’ll tap our resources to create a comprehensive plan that assesses your IT and business needs and submit a proposal that readies you for success. Our Project Engineers use a Project Work Plan template with specific milestones, a targeted schedule, project leads for each stage, and status updates to design and build your customized IT solution. We prepare your infrastructure by staging and validating equipment to ensure operability, then we deploy. We remain committed to your success with help desk support (through a time/materials basis or a Managed Network Services contract), network monitoring, 24/7 on call availability, and quarterly review meetings with your Account Manager.